IS DELIVEROO A SCAM- OR MAKE £120/DAY AS A RIDER? Now, we know that delivering meals have sort of become a good way to make some income, as many food companies now find it easier to reach masses through the services of freelance drivers. Seeing that you are here today, my guess is you are also wondering, is Deliveroo a scam or can you make money as a freelance Rider using their service. Good news is, we have taken our time to do our due deligent research on Deliveroo to find out what exactly they can offer you, so sit back and enjoy this detailed Deliveroo Review. Deliveroo is a food service provider that ensures delivery of food from restaurants or food vendors to their hungary customers. In order words, Deliveroo stands as a middle man between the food vendors and the people who want to get food delivered to them. Firstly you need to sign up with the company, and if reviewed and accepted, then you are ready to start working. You need to then download the app and head to the place called the “zone area” in your area, as this is the place you need to be to receive orders for delivery via Deliveroo’s app. Once you receive an order, you will decide if you want to take it or not, if you want it, you swipe the “accept order button” on the app and once done, you get the directions for your pickup. Once you pick up your order from the restaurant, be wise to checklist everything to avoid delays or having to come back to pick any forgotten orders. The app will show you direction for your delivery and all you have to do is get the food across to the waiting customer. Then you swipe the “arrive button” on the app to end that order. You can then go back and repeat. How much can you make as a Deliveroo rider? With the new system in place, we are made to understand that Deliveroo now pays it’s Riders roughly £4/delivery. So depending on how many deliveries you are able to make within a given time, that will determine the exact amount you will be able to make per day. But let us work this out using the two busiest hours in the day, the three hours lunch time and three hours evening time. Given you are able to make deliveries within the 6 hours margin, you will have: £12/£16×6 = £72/£96 per day. Like we mentioned earlier, depending on how much time you invest, you might be able to make up to £120/day. And let’s not forget the tips that sometimes accompany these deliveries, as that solely belongs to you. It is free to join Deliveroo as a rider, given that you meet with all their requirements as stated below. First to become a rider for Deliveroo, it’s in your best interest to join through the link of an already existing Rider, as this will give you access to earn £50 after your first 20 deliveries. And as an existing member, they claim you can make up to £250 per person you introduce to join their service. No financial or health securities, as you are employed as a freelancer. Bad weather conditions can definitely affect you. Is Deliveroo a scam? We can surely say Deliveroo is no scam, but a legit company you can make money with, if you love riding, you can definitely use their service to make extra income, and might probably be able to make up to the £120/day as they claim but have in mind that it’s not going to be on a daily basis. We must’t fail to mention that there is however a very negative review from their customers on their food delivery service. But most of the Riders so far, seem happy working for Deliveroo. Well there you have it, but if you don’t think working for Deliveroo is what you want at the moment, we do advise you to try starting your own online business. You can become your own Boss and decide when and how you want to run things in your life. Even though being a freelance Rider gives you the avenue to be your own Boss, you are still tied to some specific hours you have to work in order to make good money, so you still do not have your freedom. If you want freedom to make money from wherever and whenever you like, then we recommend you start an online business in affiliate marketing, by writing about something you are passionate about..
And above all, you create an avenue for your passive income stream. And finally your route to financial freedom. You just need a website, you can get a free one here. On this website you will write and post articles about something you are passionate about, so that when people who have interest in the same topic and needs solution to a problem within that area, can then read and find solution through your articles. Once you are able to achieve this, you can then monetise your website so that you can start making money with it. All you need is a community that can help you get started, and teach you everything you need to know and at same time, help you grow your business. If you see this as an option you would like to try out, then simply signup for free with this amazing Wealthy Affiliate community and start your journey to success. We recommend this community because it’s 100% legit and it is what has enabled us to come this far and still going strong. If you decide to give it a try, be rest assured you will have me there to personally guide you through every step of the way..
That is it for today, if you found this post useful, do kindly share with others. If you have any questions, or your opinion to share, kindly do so in the comment section below. This was an interesting post as I have not heard about Deliveroo. before. You have clearly explained what it is and what it involves. You have also pointed out the pros and cons and concluded that the Company is a legitimate way to earn a little extra cash. You did not mislead your readers into thinking they would make heaps but instead you were open and honest about its prospects acknowledging that it is hard work and the pay is not that good for the hours required. I am way beyond that kind of work but for my grandsons I think it would be a good way to earn a little extra cash to cover their tuition fees. They could be flexible with the hours they worked. 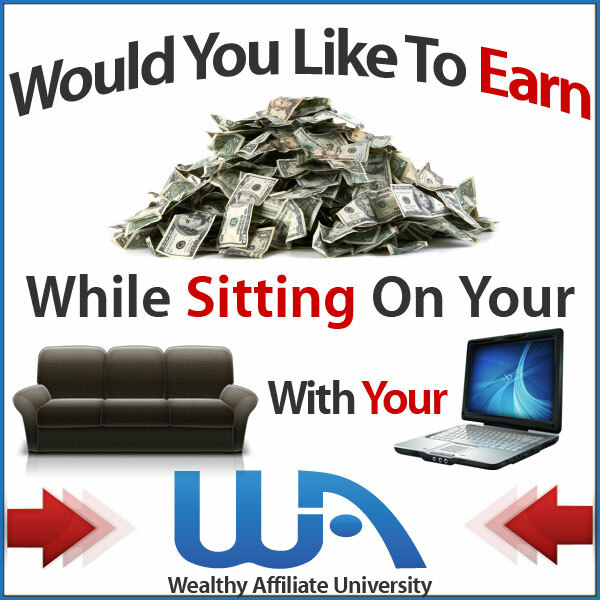 You offered a better alternative at the end of your post and I clicked on the link to see a very comprehensive explanation of Wealthy Affiliate and how people would have a better chance of making money there. .
Well done and thank you for all the info. you are welcomed Judy, I am glad this was of help to you. And I am sure your grandsons will surely enjoy using this service. On the other hand, our alternate option can be in their best interest if only tjey have the time to invest and work hard at it.. It certainly doesn’t sound as though Deliveroo is a scam of any sort. This type of service is quite common here in South Africa, more often than not, cars are used. Perhaps for the safety aspect. This is a way that someone who has a bike can make a living but it is a pity that there is no insurance for the delivery person. Wet weather riding can be very dangerous and perhaps danger money should be paid. That is the problem, since you will be employed as a freelancer, you do not get any work benefits. Hope they can find a way around that eventually to help the riders. Sounds to me like it would be a good way to earn some extra cash, but it would require a serious amount of effort as a cyclist due to the number of deliveries you would need to make. It would be an ideal income producer for a university student who lived in an inner city apartment and required a good income producing opportunity. The idea of making money from an online venture that you mention later in this article would a lot more enjoyable than trying to deliver food in the middle of the winter, or on a rainy summer night. Yeah, sitting in front of a computer looking at the rain outside is a winner for me. Thank you Steve for your contribution. You sound like a very funny person. I agree 100% with you, I rather sit in front of the computer looking outside at the rain and don’t forget making money at the same time, rather than struggling in the rain to make the same money! This happens to be in England (I think). Do you know anything in the US? Like everyone is saying, that they would rather be sitting home and making money with their computer, then out there in the rain on a cycle. Well written though. Wishing you all the best. Yes Billy, Deluveroo is definitely in the Uk but am not sure if they have any outlet over there, it’s something I will have to check out though. Great informative post. Personally I would not want to contend with the traffic, but sounds like it could be a great fit for someone who would like to make a little extra, and do not mind the traffic. I am already an affiliate because I love picking my hours, and having the potential to earn what I want. I wish you success with yours. Thanks Phyllis for your contribution, riding for Deliveroo is definitely a good way to make some good money if one is ready to deal with what it entails like every other business. But Like you, I will always stick to Affiliate marketing as it gives me all the time I need to Be with my family, and make passive income. That is a win-win for me and any one who decides to give it a try.